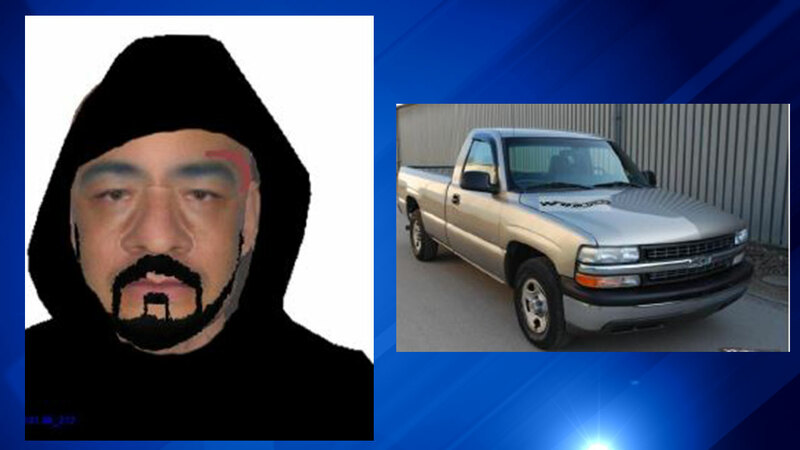 ELMHURST (WLS) -- Elmhurst police are looking for a man who tried to lure a boy into his truck by claiming he needed help to find a lost dog. The man drove up to the boy at about 5:10 p.m. Friday in the 500-block of Comstock in the western suburb and offered the 12-year-old boy a "treat" in exchange for his help. The boy refused and ran to a friend's house. He described the suspect as a Hispanic man in his 30s or 40s, wearing a hooded sweatshirt pulled close to his face. He was light-skinned with facial hair and a C-shaped scar over his left eye. He spoke with a deep voice, police said. The boy was asked to look at vehicles on the Internet, and said the man appeared to be driving a 2003 Chevrolet Silverado with rust on the tailgate logo, bottom of the tailgate, and bottom of the passenger side. It also had a large dent on the tailgate and on the passenger-side door. Police have increased patrols in both marked and unmarked squad cars in residential areas of town, and are asking residents call 911 to report any suspicious activity.